In The Queen of Blood, Daleina used her strength and skill to survive the malevolent nature spirits of Renthia and claim the crown. But now she is hiding a terrible secret: she is dying. If she leaves the world before a new heir is ready, the spirits that inhabit her realm will once again run wild, destroying her cities and slaughtering her people. 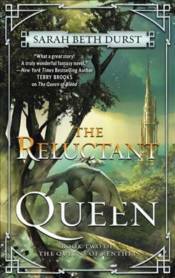 Naelin has the power necessary to become an heir, but she couldn�t be further removed from the Queen. Her world is her two children, her husband, and her remote village tucked deep in the forest. But when Ven, the Queen�s champion, passes through her village, Naelin�s ambitious husband tells him of his wife�s ability to control spirits�magic that Naelin fervently denies. She knows embracing her power will bring death and separation from those she loves. But Ven must find the best possible candidate to protect the people of Aratay. As the Queen�s power begins to wane and the spirits become emboldened, the only way Naelin can keep her son and daughter safe is to risk everything.